She's TOO cute. We have SO many things that have random names for as well. Sometimes, some of the things from childhood just stay with us! Oh my gosh- that is seriously the cutest thing ever!! Especially at the end...Vlogging like a Boss BOOM! I think you two are to be inducted into the Vlogging Hall of Fame. Chips n joy! I love it!! She had me at Chips and Joy! LOVE! Pretty cute. 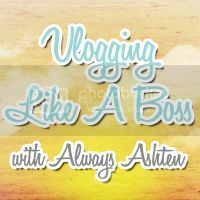 Vlogging like a boss!!! sprinkle drink!!!!! chips and joy, well cookies are joyful so what a smart kid. omg her close out. hahaha! i love this so much! She is the cutest! You know, you could have something there with "hanitizer." It really is efficient. Also, I love how patient Jack was -- for a while, anyway!